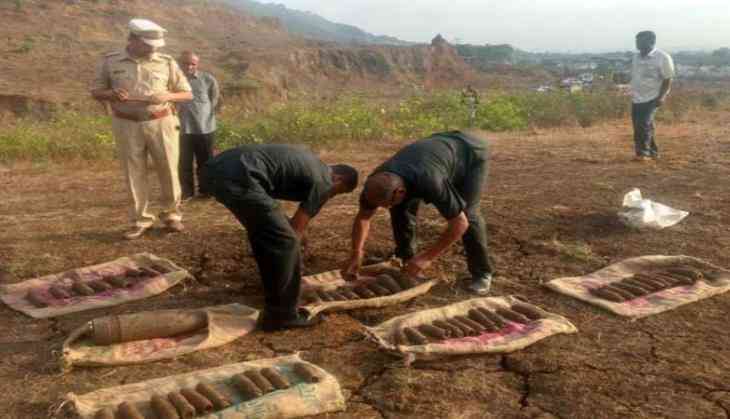 The Commandoes of National Security Guard (NSG), police and bomb disposal squad on 31 may defused 59 high intensity explosive cells in Mumbai. According to the police, these cells were capable of destroying an entire city. These explosive cells were seized by Mumbai Police's Crime Branch in October 2015 from a scrap dealer in Thane area. When Bhabha Atomic Research Centre confirmed that these explosive cells were still live then all the agencies swung into action. A team of the NSG reached Mumbai from Delhi to supervise the defusing of the explosive cells. It along with local police and bomb disposal squad took the cells to a hill in Dahisar area and successfully defused them. Till date it has not been ascertained as to how the explosive cells reach the scrap dealer's shop.